We we blessed with a sunny, if not overly warm, Bank Holiday for the annual all day event. 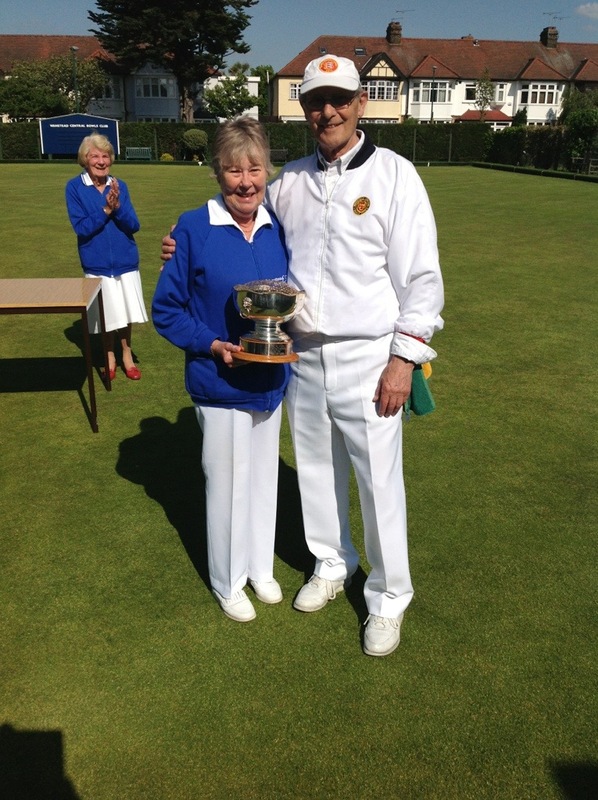 The pairs of Trish Banfield & George Coster, Mavis Seabrook & Brian Bessell, Barbara Crouch & Kevin Fitzgerald and Brenda Spicer & Colin Foster made it through the round-robin stages to the semis. Trish’s steady leading in the final, backed up by some spectacular jack-trailing by George saw them run out 8-1 winners. ~ by Colin Foster on May 27, 2013.